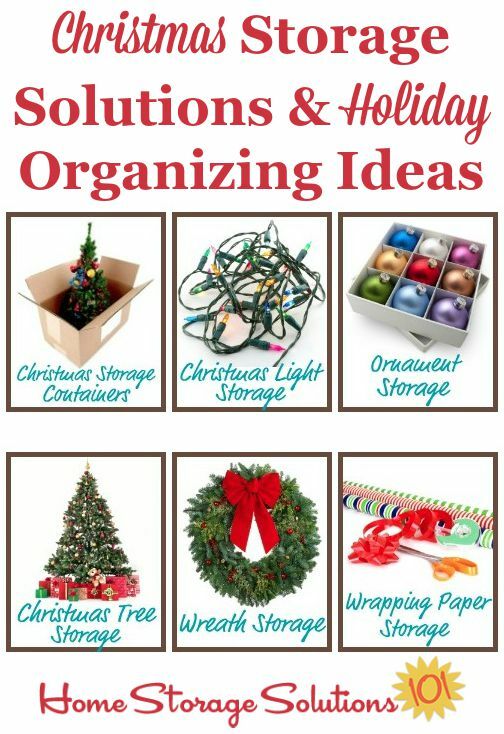 If you love to decorate and go all out for the holidays you need some Christmas storage solutions to help you organize all the wrapping paper, ornaments, lights, decorations and even the tree from year to year so that you can find it all when you want and need it. Here are the main areas to consider when dealing with holiday storage. Click on one of these picture links below to find storage solutions and ideas you can use specifically for these types of items, or scroll down for some more tips and ideas. Getting ready for the holidays, including Christmas, takes some planning and organization, at least if you want it to be an enjoyable and non-stressful occasion. You can learn about some great Christmas planning resources here, to help you plan your holidays. In addition, don't forget to prepare your home for guests with the tips at the linked article. 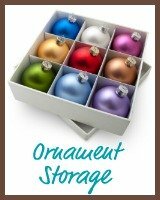 I would suggest storing all of your seasonal decorative items together, in one area of your home. Because you only access these items once a year or so, don't give this storage area prime real estate in your home, but instead put it somewhere somewhat accessible, but out of the way. 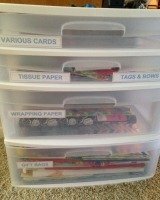 Segregate each holiday's items into separate containers or boxes, like items for one season with another. 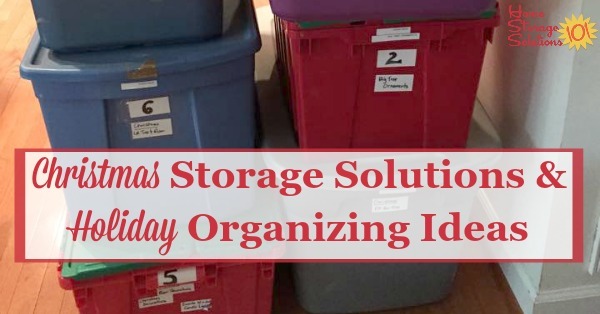 Ideally, as you put items away for each season you will put those items toward the back, so over the year the containers needed for the next holiday will be toward the front, and rotate them as the seasons change. Obviously, you should only be keeping from year to year the items you continue to use and love. 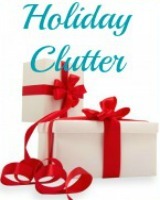 All other holiday items should be decluttered. 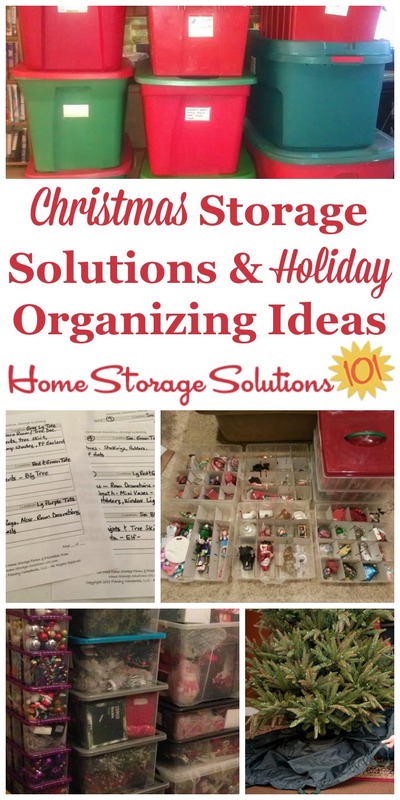 You can get more detailed and step by step instructions for Christmas decoration storage and organization here, as part of one of the challenges in the 52 Weeks to an Organized Home series. 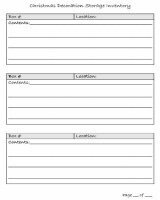 Then, you can use this Christmas decoration storage inventory form to help you remember what is in each box, and where you stored it from year to year. 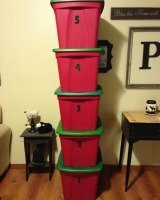 There are all kinds of containers you can use for your Christmas storage items, but I would suggest stackable plastic tubs, with lids, as being preferable over cardboard. 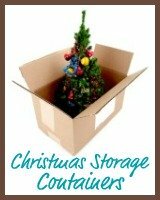 You can find out more about Christmas containers for storing items here. Just as you should keep all your Christmas storage in one area, and all together, keep the various types of Christmas decorations corralled into their separate areas too, with a box for lights, one or more for ornaments, etc. If you need to add more than one type of item to a box try to put them in, in the opposite order you will need to retrieve them. For example, you should put the garland lower in the box than the lights, for example, since lights go on before garland onto the tree. One of the most frustrating things people experience each year as part of Christmas storage is dealing with the tangled up Christmas lights. However, with a little effort when you put them away at the end of the season will keep them in good order for the next year and save yourself some big headaches and holiday grief. 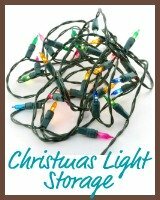 Here are my tips for Christmas light storage to help you with this common problem, including suggestions for both commercial products and do it yourself ideas. Ornaments are often a favorite for people, since many ornaments are bought to commemorate special occasions in your family's lives, such as "Baby's First Christmas" or the special pasted candy cane your child made for you in third grade. In addition, many of these items are very fragile, and can easily break if they are jostled or clink together. Therefore, special care should be taken when choosing the right ornament storage containers. I've gathered lots of tips and ideas for Christmas ornament storage here. 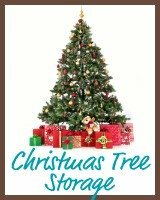 If you buy a real tree each year you don't need to worry about this Christmas storage items each year while the tree is not in use, but for those of us (like me) who have an artificial tree we all know how large they can be, and they take up a lot of room. There are many possible methods for storing your tree, including tree bags and boxes, and other containers. You can find out about which Christmas tree storage solution is best for you. Plus, don't forget that your tree itself is VERY heavy. When choosing a Christmas storage solution, make sure you think about how you'll haul it back to storage, such as using rollers on your boxes, or a rolling artificial Christmas tree stands. Your artificial Christmas (or other seasonal) wreaths are also very large, and can be difficult to store without having them gather dust. Fortunately, they make some very handy containers to help you store them easily. 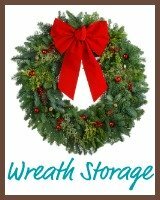 You can find out more about wreath storage here. 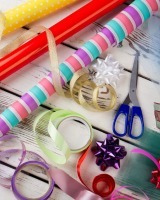 We all do a lot of wrapping during the holiday season, making our gifts beautiful for giving to our friends and family. If you're like me you've got quite a lot of gift wrap which is specifically for Christmas, and not for use at other times of the year. 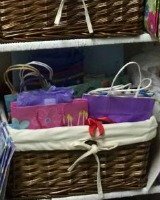 Therefore, you may need to store Christmas paper and also have a different storage area for the rest of the wrapping paper, ribbons, bows, bags, etc. you have which get used year round for birthdays, and other events. 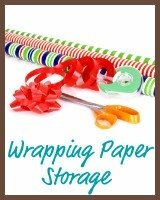 Find out more about wrapping paper storage solutions here. In addition, I've written a couple articles that may help you out. Of course, Christmas is not the only holiday we decorate our homes for. Here are some additional pages on the site with ideas for storage for these holidays too.